My first encounter with Orogold is actually more of my mom's story to tell. We were shopping at Ocean Terminal in Hong Kong when a saleslady was able to convince her to try their products (which is a big deal because my mom is a lawyer who is skeptical about everything). What was supposed to be a quick 15 minute demo became an hour or so of my mom asking every question she could think of. She was amazed with the quality of the products. 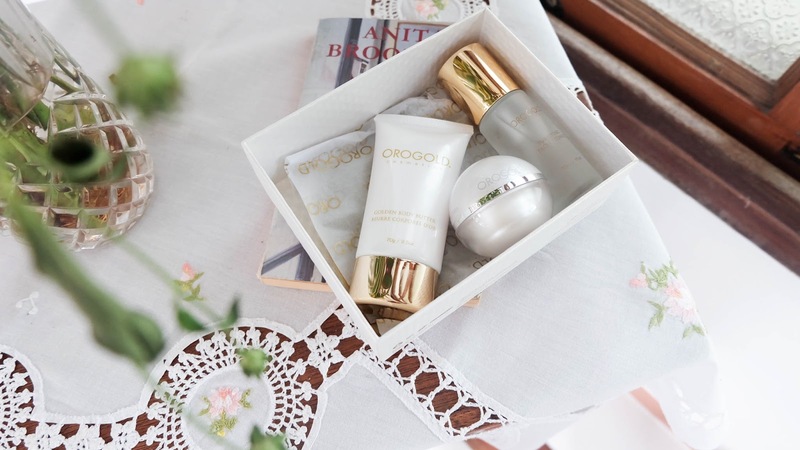 Orogold wasn't available in Manila yet when my mom discovered the brand. I was only in my early teenager years then. I wasn't into skincare yet but last week, I was reintroduced to the brand and I had the same reaction as my mom did 10 years ago. I, too, couldn't believe how their products were so strong and effective that I feel like I no longer need to go back to the dermatologist. The fact that it has gold in the name itself, you can already tell that this is a luxury product. Back then, gold was only for royalty. 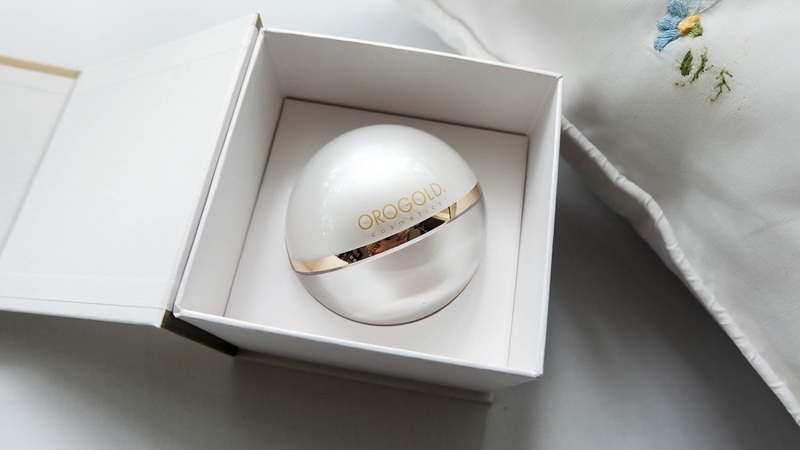 I've already accepted the fact that I'm never gonna be a princess but at least I can feel like one whenever I use Orogold's products. 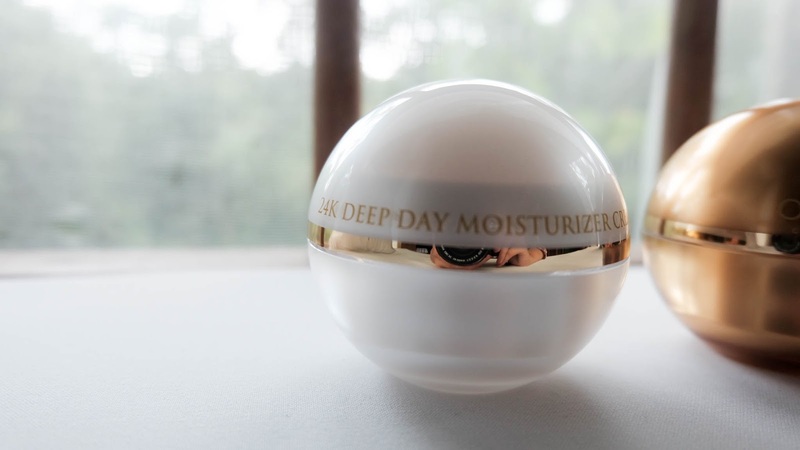 Aside from gold, the 24k Deep Day Moisturizer is infused with Sunflower Oil, Vitamins C and E, and green tea extracts. This combination is so powerful that it can penetrate the deeper layers of your skin which prevents the appearance of facial lines and wrinkles. Apply daily to see results. This is a good buy if you are still unsure of the brand. Whenever I try a new brand, I like to buy a small set first so I get to try their different products without fully committing yet to buy a big bottle. Also, this is also perfect for those of you who travel a lot. Everything is under 100ml. You can keep it in your purse. 24K Deep Peeling serves as an exfoliator. It removes dead skin cells to keep your clear your complexion. Use this once or twice a week at most. According to Orogold's beauty consultant, this is important to even out your skin color. I have freckles (dark brown spots) at the side of my cheek but with regular use of Deep Peeling, my freckles are a lightening. Although it will never completely be erased, it is visibly less noticeable. Wish you left your name so I could thank you properly! Orogold's night cream is tlagang effective. It was difficult for me to find a night cream before coz i don't want one that's sticky. When i tried their night renewal cream it was easily absorbed by the skin and i feel hydrated. The day cream is also good. I use it as my make up base. It holds my foundation better. I love the idea of having facials without pricking. Deep peeling helps my skin to glow at its finest. I love to partner it with their moisturizer. Superb! Yeah, I feel more at home getting a facial at Orogold. 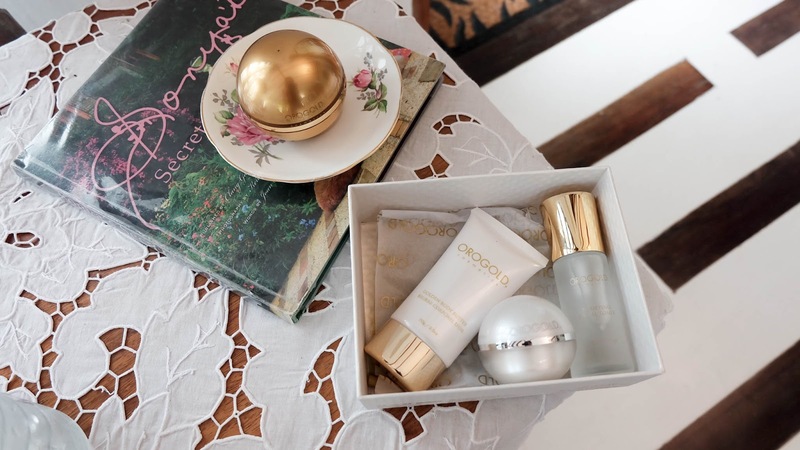 Finally you wrote about Orogold :)My favorite id the Vitamion C serum. Me and my mom use it. I love its citrus scent :) And its light on the skin. I should buy it too! The products are very luscious. You can see the glow of your skin the moment you use it. I tried using a lot of different products but only Orogold met the result i wanted to have. Whatever i spent is all worth it.